The main purpose of today’s Jalopnik East excursion was to check out the Toyota Showcase City at Megaweb in Odaiba. Instead, I stumbled into the middle of a private demonstration and test drive event for Bentley... and they let me in! I have to be honest with you that it sounds about what it was. A select and small customer group getting to thrash Bentleys (mostly Bentaygas), and I believe I saw one other reporter. That really was it. So how did I get in? My bright smile and winning charm? Nope. It was me sidling up, asking what was going on, and handing over my business card to staff person, explaining I was an automotive journalist. The staff told me to wait for a moment while they went and informed the marketing guy in charge of the event. I was fine with that. Especially since I was handed an Oolong tea almost immediately after by chipper young woman. Not bad for crashing the party. And boy the pictures did I get. Ready for the Bentleys? 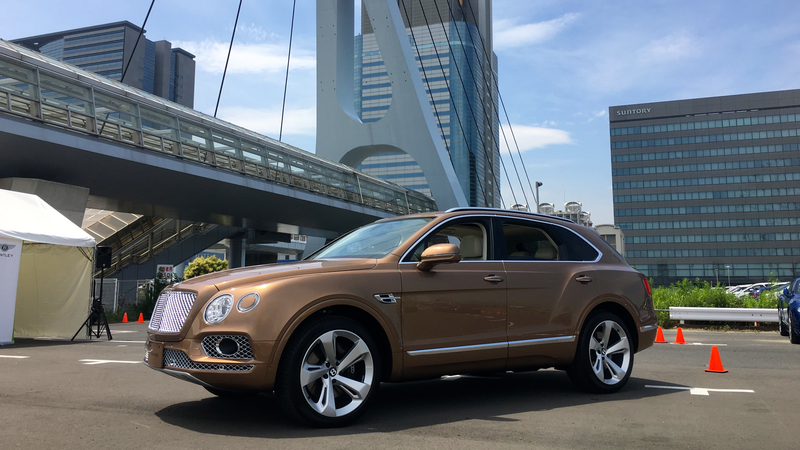 Yeah, you’re ready for the Bentleys.